Kendall loves her life in small town Cryer's Cross, Montana, but she also longs for something more. She knows the chances of going to school in New York are small, but she's not the type to give up easily. Even though it will mean leaving Nico, the world's sweetest boyfriend, behind. 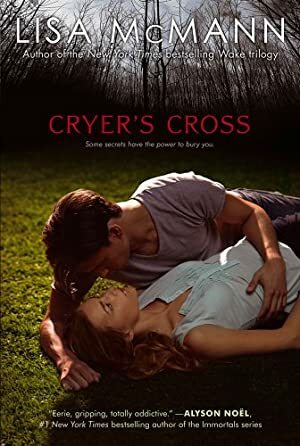 But when Cryer's Cross is rocked by unspeakable tragedy, Kendall shoves her dreams aside and focuses on just one goal: help find her missing friends. Even if it means spending time with the one boy she shouldn't get close to... the one boy who makes her question everything she feels for Nico. Log In to track Lisa McMann on eReaderIQ. to be notified each time the price drops on any book by Lisa McMann. to stop tracking Lisa McMann. We started tracking this book on March 3, 2011. The price of this book has changed 56 times in the past 2,972 days. The current price of this book is $8.99 last checked 19 hours ago. The lowest price to date was $0.99 last reached on September 3, 2018. The highest price to date was $10.99 last reached on February 23, 2016. This book has been $10.99 one time since we started tracking it. We last verified the price of this book about 19 hours ago. At that time, the price was $8.99. This price is subject to change. The price displayed on the Amazon.com website at the time of purchase is the price you will pay for this book. Please confirm the price before making any purchases.